Yesterday we had our post Xmas lunch at my parents’ place on the Bellarine Peninsula. The vines were in leaf and the weather was pleasant if a little cool. I finally got to try their 2010 Cabernet Sauvignon that, in a coup for amateur wine producers everywhere, won a bronze medal at the recent Geelong Wine Show. Among other things Mum served a mayonnaise made from the yolks of their own eggs and a pavlova made from the whites. This is the kind of kitchen symbiosis I most admire where everything is used up. Our contribution to the lunch was a lemon and almond cake made by my daughter. 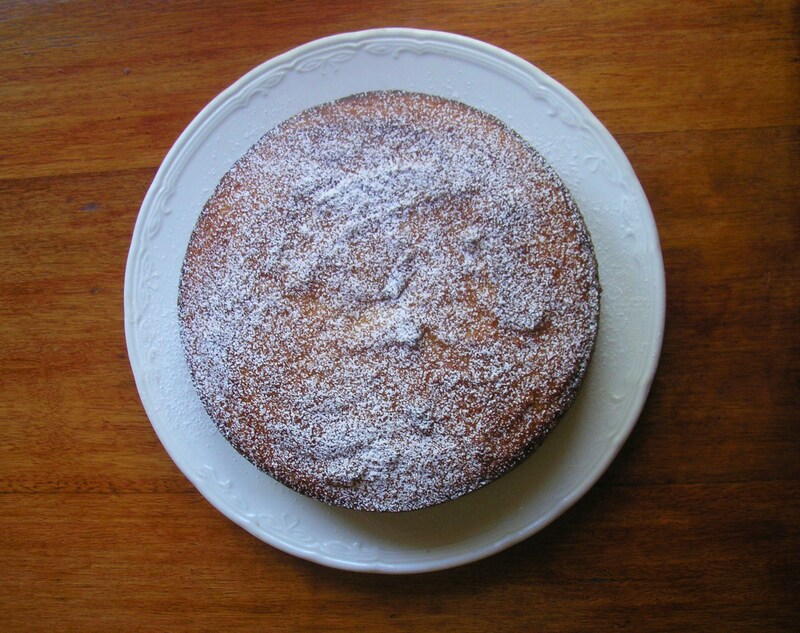 We had the idea for this cake a couple of weeks ago when one of her friends arrived at our house with an orange and almond cake made from the recipe in Maeve O’ Meara”s Food Safari cookbook and a bag of lemons. The cake was delicious but when we decided to have a go at making our own we realised that we had a surfeit of lemons not oranges. After a few minutes of earnest consultation we decided that there was no reason why you couldn’t make the cake with lemons instead of oranges as long as a little more sugar was added. My daughter made a prototype and it worked brilliantly. The one we took to lunch was her second effort. Very nice served with a bit of whipped cream. Wash the lemons and cook in boiling water for 2 hours. Drain and allow the lemons to cool before pureeing. This can be done ahead of time. Add 1 1/2 tbs caster sugar to the lemons. Preheat the oven to 190c. Butter a 20cm springform cake tin and dust it with a little caster sugar. Place the eggs and 250g caster sugar in a mixing bowl and beat well. Stir in the lemon puree followed by the almond meal and baking powder. Pour into the tin and dust with some more caster sugar. Bake for 1 to 1 1/2 hours or until the top is golden brown. 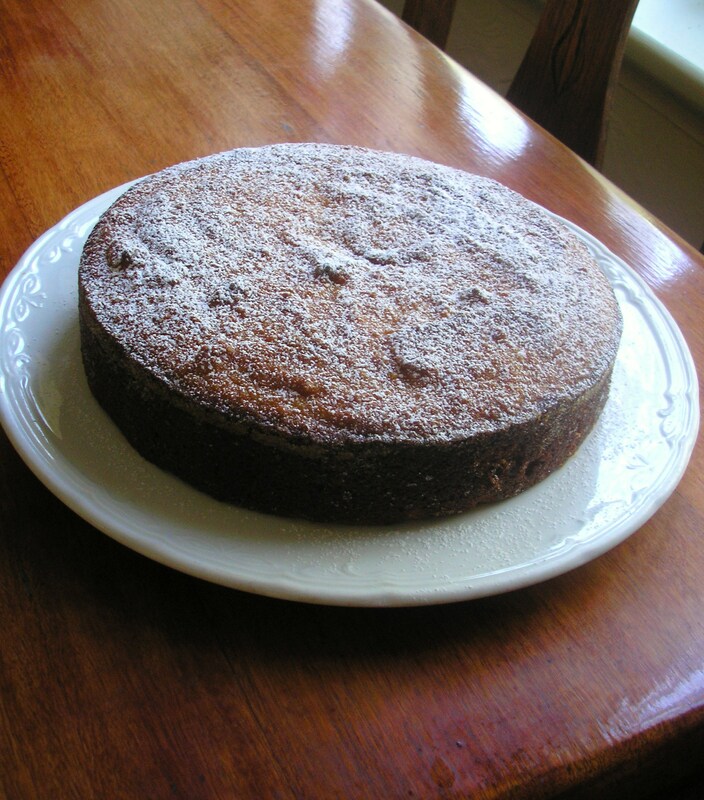 Dust with icing sugar to serve. 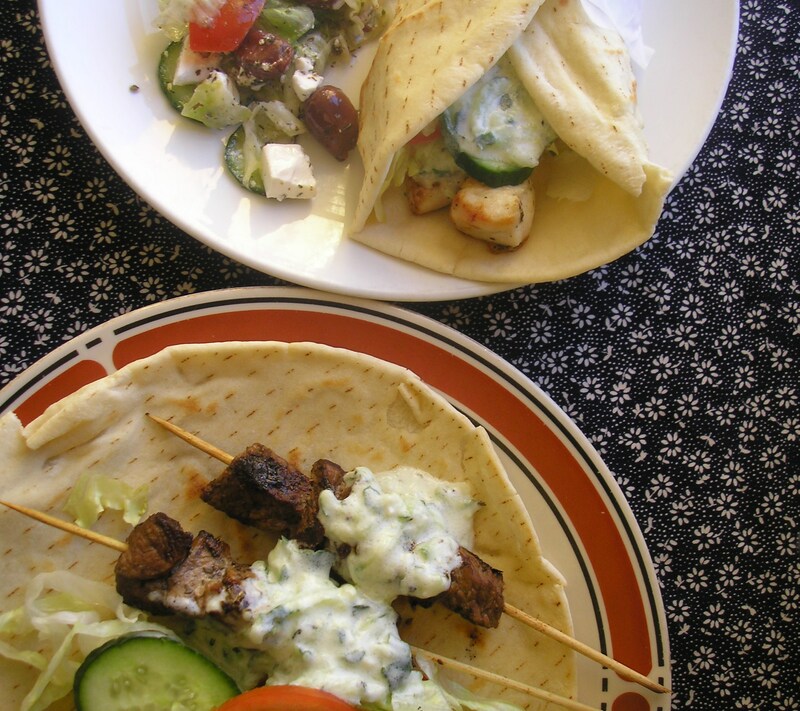 Greek souvlakia are a tasty, healthy dish to cook on the stove top or the barbeque. They are very easy to make and can be prepared ahead of time and stored in the refrigerator to use when needed. This is convenient when you have other dishes to prepare so they are great for a party. The Greeks often prefer to use dried herbs in their marinades as they impart more flavour when used in this way. Lemon juice and olive oil are also used. Finally I like to add minced onion and garlic (optional). 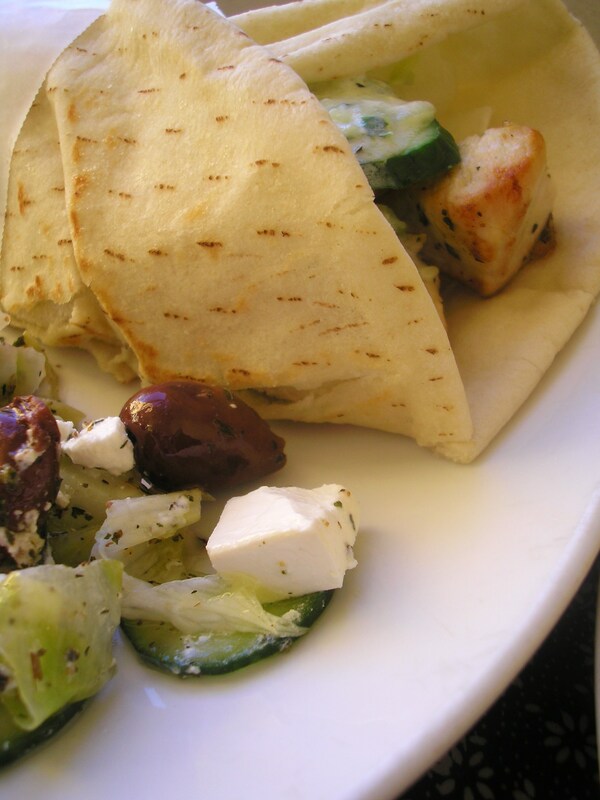 Souvlakia can be served with or without pita bread – a Greek salad is a good alternative. A sauce is always needed, I like tzatziki* or a garlicky tahini sauce. Cut the lamb or chicken into cubes. In a large bowl mix together the ingredients for the marinade. Put the meat in the marinade and combine well. Cover with cling film and place in the refrigerator for 1-2 hours. Meanwhile soak some bamboo skewers in some water for and hour or so. Remove meat from refrigerator and thread on to soaked skewers – grill, barbeque or sear in a hot pan. Serve with pita bread, sauce and sliced lettuce, tomato and cucumber. Mix tahini and water together in a small bowl. Add lemon juice, garlic and seasoning, combine well. Add a little more water if the sauce is too thick.